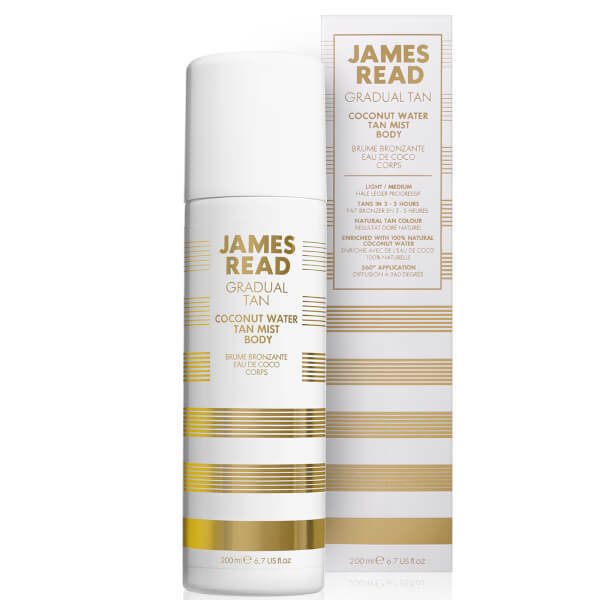 Achieve a sun-kissed glow with James Read Coconut Water Body Tan Mist; a lightweight formula that develops over 3-5 hours and dries quickly so you can get dressed in minutes. 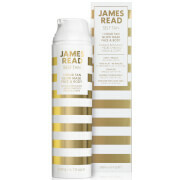 Fortified with innovative 72hr Hydration Technology™ and pure Cosmetic-grade Coconut Water (an ingredient rich in vitamins, minerals and electrolytes), the gradual tan softens and moisturises skin, whilst providing anti-ageing benefits and delivering golden, natural-looking colour with easy 360° application. 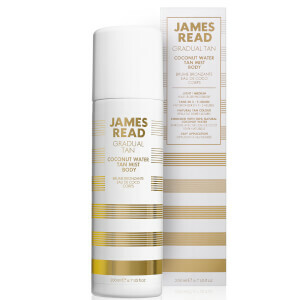 Expect radiant, silky smooth skin with a delicious Coconut fragrance and a tan that lasts up to 5 days. Hold nozzle at arms length and spray mist onto each section of the body, beginning with the chest and stomach and then each arm and leg. Ensure the product has been applied all over, then lightly spritz feet and hands to finish. Wait until the skin is touch dry before dressing. Avoid contact with water for 6-8 hours and then rinse.